Wow, this watch is just amazing. First of all, 18k Datejusts are rare. 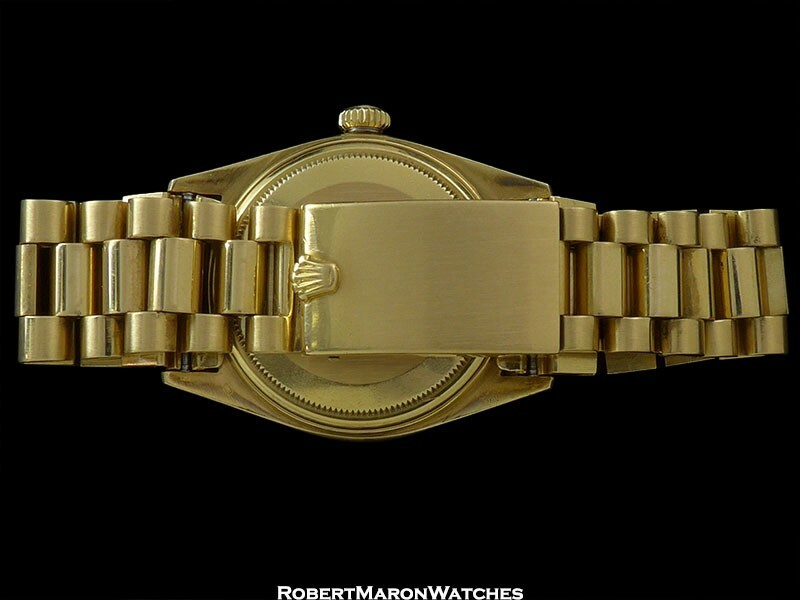 This is because the price difference between an 18k Datejust and an 18k “President” was very small. Customers decided the Day Date provided a better value, and the 18k Datejusts were not strong sellers. 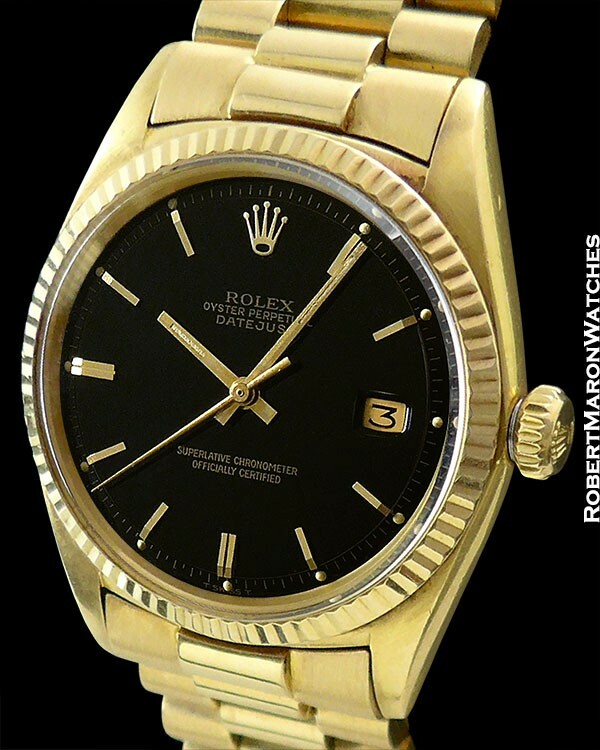 Back in 1962, the dial on this watch was just as beautiful, but it wasn’t collectable. Flash forward to 2016, and an original untouched Black Gloss lacquer dial so shiny that it looks like a mirror, is something to get excited about! Black with unchecked lacquer, this looks the part of a Stella dial. 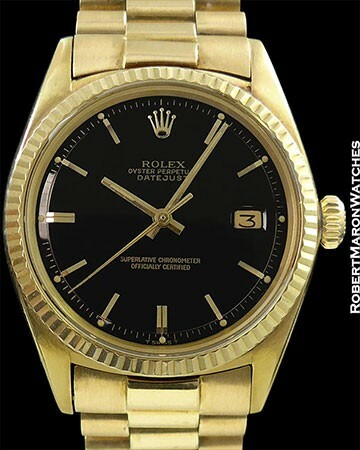 Case is 18k with crisp everything: lugs, fluted bezel and original crown. Diameter is 36mm. Crystal is plastic and absent the cyclops date magnifier, which makes it look unique. Serial number 860XXX dates to 1962, which looking at so many collectables, is really the efflorescence of so many luxury goods, from Ferrari to Ford to Fender and to Rolex. Original untouched black mirror dial with pie-pan edge and date at 3 o’clock. This watch is so beautiful that it’s ridiculous. Automatic winding, Chronometer certified Rolex Caliber 1560 with 26 jewels and adjusted to temperature and in 5 positions. Looking at these pristine movements, 54 years later, really proves that the Rolex Oyster case really is the best in the business. Rolex brown crocodile strap with Rolex buckle. Watch is in mint/mint+ condition.